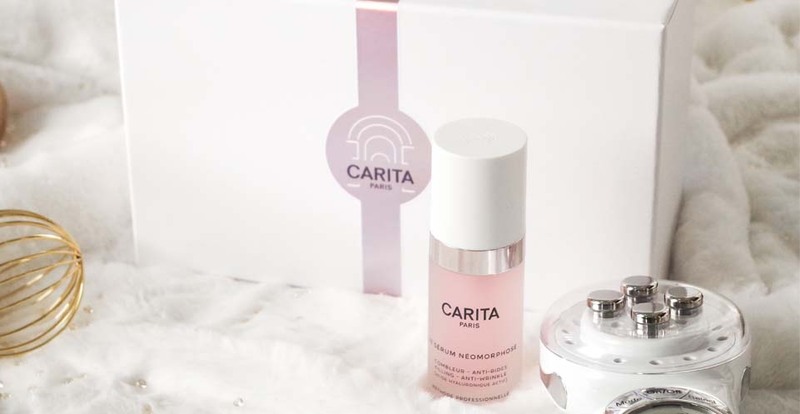 Carita is a brand very appreciated by the women who live alongside the reknown institutes, the reputation of this brand comes from the avant-gardism of its products which combine technology and beauty! This year, Carita reboosts its image, releases new products and renews its packaging! The result: beautiful and great beauty products to put in a box to offer to a woman who likes to take care of her! Who said men should not take care of them too? As much as women, they suffer from daily-stress, pollution and signs of age do not keep them apart! L'Homme Idéal care combines efficiency and relaxation. The beauty expert works the skin with soft and dynamic gestures to tone the skin and soothe daily irritations. Result: the facial features are relaxed, the skin texture refined and purified as well as the luminous complexion. Since Spring, Cristal Spa has launched Cristal Ephémère. Care that adapts to the season and the needs of the body. The Winter Care is cocooning, with warm scents, notes of cinnamon, eucalyptus ... an invitation to Morocco. Result: The skin is purified deep, soft, satiny and delicately scented. Create a box filled with various fragrances with soaps, shower gels, candles or fresh water! Result: a box for the house and for the body! The Ritual with Five Flowers, is the soft face care adapted to all skin type! 100% customizable, the expert uses specific products according to the needs and the type of skin. Practiced exclusively with gestures to penetrate the assets, it does not use apparatuses or essential oils. Result: a gentle care for those with reactive skin or for pregnant women! Still not inspired? Visit us at the spa for more tips!